Myofascial Pain Syndrome (MPD) is a chronic pain disorder that puts a lot of pressure on certain points in your muscles, which tends to cause pain in other parts of your body that are not directly related to where this pain began. 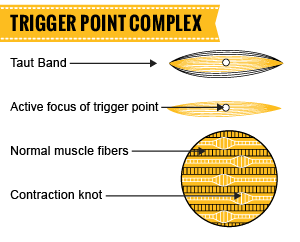 These pressure points, which are located in taut bands within the muscle, are often called ‘trigger points’ because they’re responsible for the ‘triggering’ of muscle pain that can be felt in other seemingly unrelated parts of your body (also known as referred pain). When someone is diagnosed with Myofacial Pain Syndrome, their main complaint is feeling muscle pain in their lower back,head, neck, shoulders and chest area. This pain can range from being very mild to being very extreme, with those diagnosed often feeling a mild aching or burning up to an intense stinging sensation. If you’re someone who’s been recently diagnosis with Myofacial Pain Syndrome, we understand how it can be difficult to get through the day due to your feeling this pain. There’s a relationship between Myofascial Pain and TMJ as both syndromes directly affect the jaw area. TMJ is an actual disorder of the jaw that directly affects the jaw, jaw joints and the adjoining facial muscles, which in turn causes muscle pain and soreness. Although Myofascial Pain Syndrome is also commonly experienced in the jaw area, it doesn’t stem from any previous disorder. TMJ and MPD are both frequently caused by repetitive motion injuries. A motion that is totally comfortable when done once or a few times a day can cause serious problems when it is repeated thousands of time a day. An example would be a deviate swallow. We swallow 2000 times a day and doing it incorrectly thousands of times a day for weeks, months or years can create very painful trigger points of MPD. There’s also a difference between Myofascial Pain Syndrome and Fibromyalgia. Any pain and discomfort felt by those who have been diagnosed with Fibromyalgia tends to be located in one area, with those with a Myofacial Pain Syndrome diagnosis experiencing pain in many areas of their body. Current treatments for Myofascial Pain include Trigger Point Injections, Dry Needling, Spray and Stretch, massage, accupressure, myotherapy and an Occipital Nerve Block. Trigger Point Injections can help relieve your pain quickly and works by having a small needle containing a numbing ingredient inserted directly into a trigger point. The trigger point actuall will disappear after the injection, often permanently. Dry Needling is a method that uses acupuncture needles in order to puncture a trigger point, which helps the muscles to relax. The Spray and Stretch treatment option works by spraying a vapocoolant directly on the trigger point, which is going to relieve pain by acting as a counter-irritant. The use of an Occipital Nerve Block is also an option and works by using a local anesthetic in order to temporarily freeze the part of the body that’s experiencing pain. Because Myofacial Pain is often experienced in the jaw area, it’s definitely worth your time to see how dental treatments may be able to help alleviate any of your current muscle pain by using highly beneficial TMJ treatments. Physiologic Dentistry utilizes ULF-TENS that can help eliminate MPD. In order for you to figure out what the best treatment is going to be for you, you’re going to need a full evaluation in order to determine the exact cause of your pain. 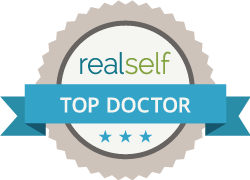 Be sure to contact us today so we can work directly with you in order to determine what treatment is going to ultimately work best for you.